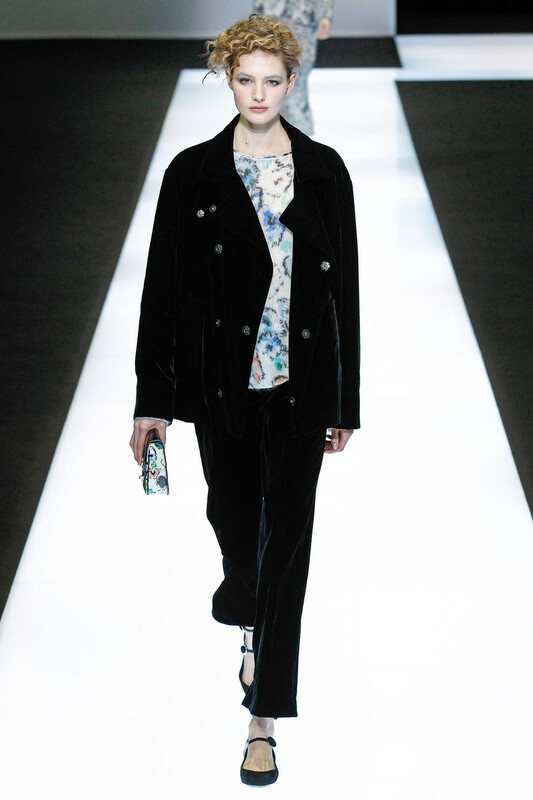 The afternoon after Leonardo DiCaprio received his first Oscar wearing Armani we all gather at via Bergognone for the Giorgio Armani show. 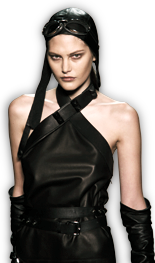 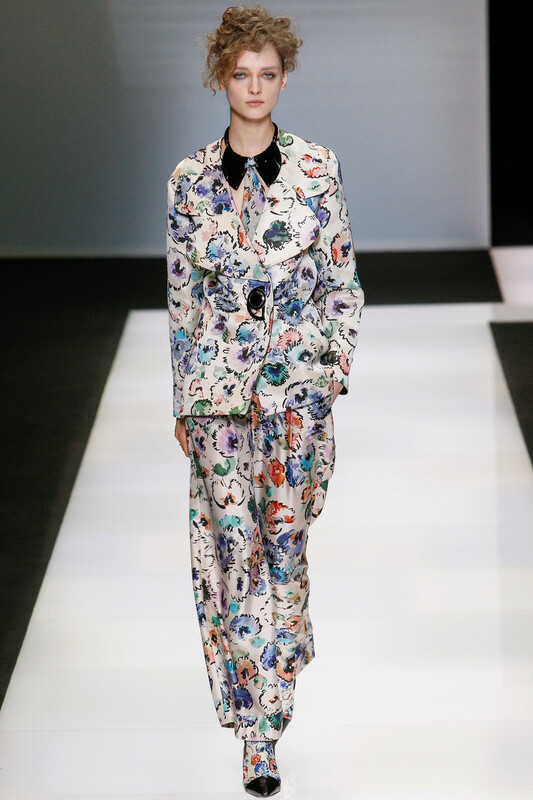 One of the final shows of Milan Fashion Week, but given it’s length a spectacle to stay around for. 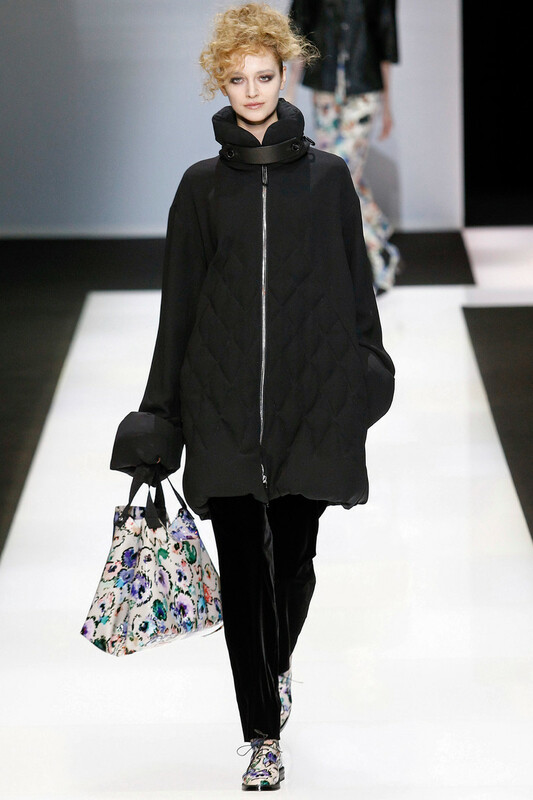 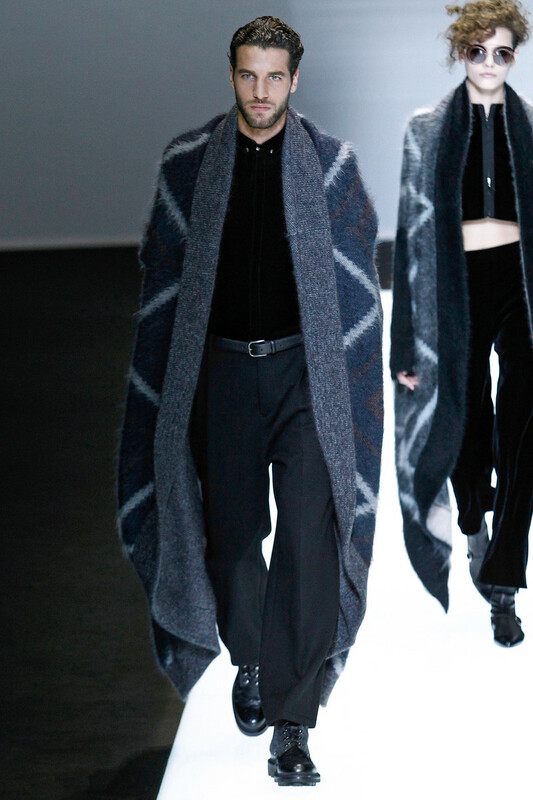 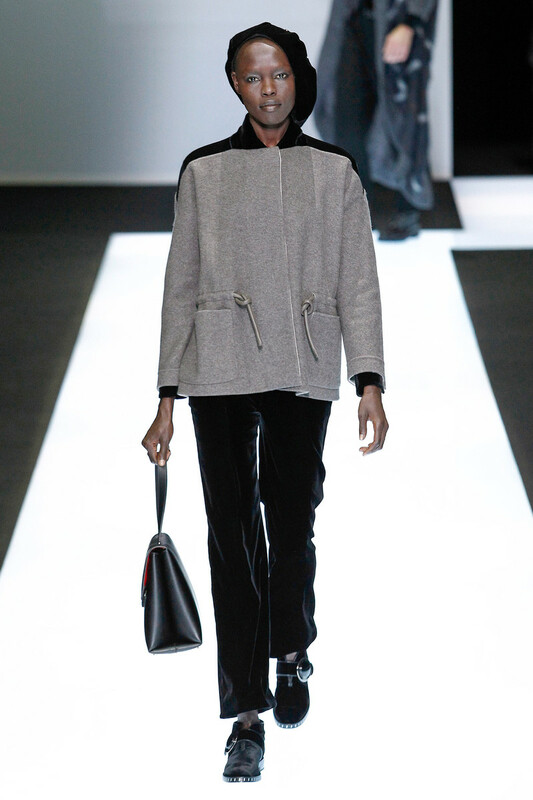 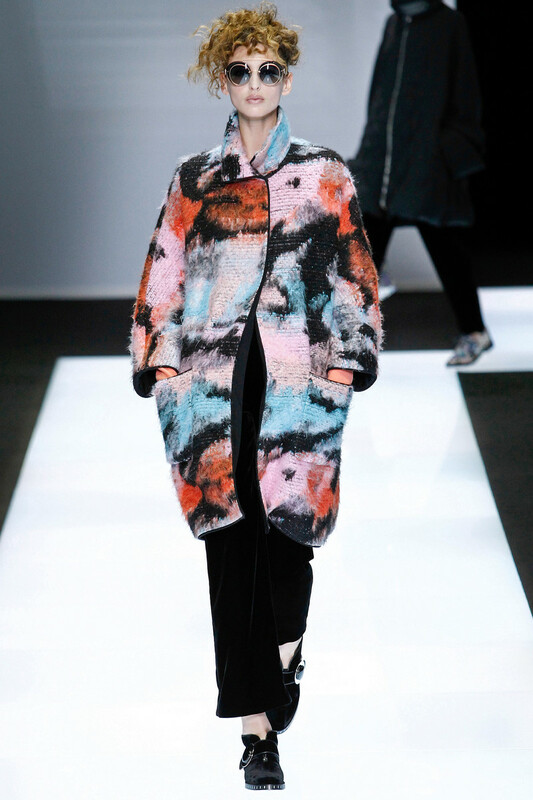 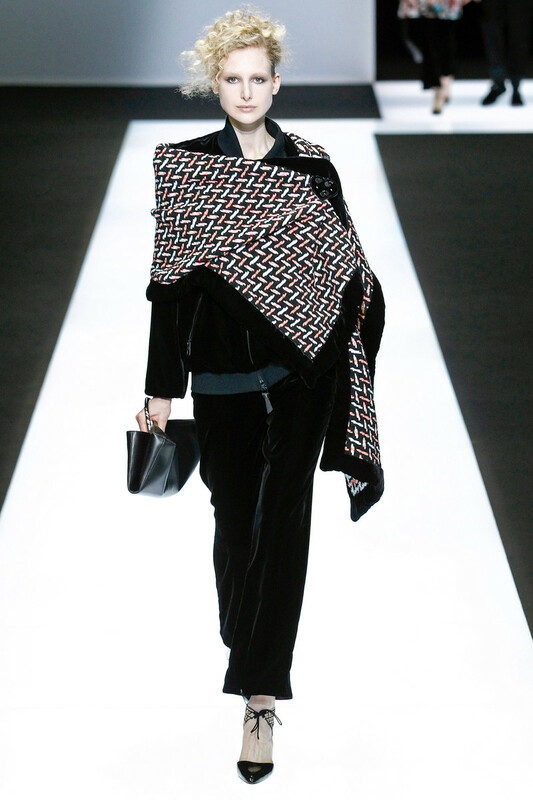 The 81-year old designer sent out no less than 82 catwalk looks. 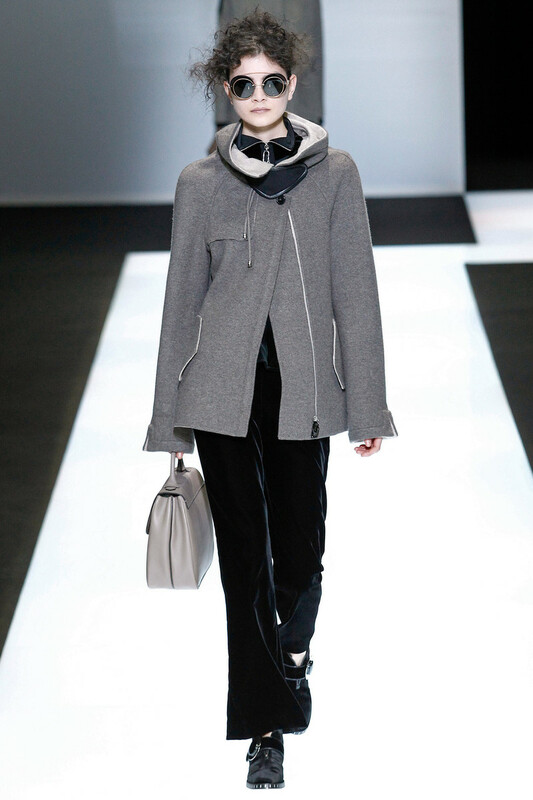 Seemingly monochrome, yet with sligt touches of pastel if you’d take a closer look. 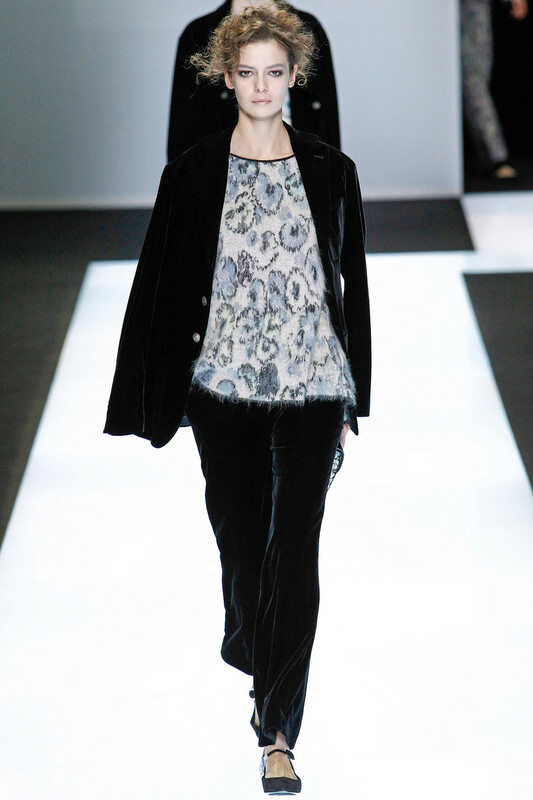 Fringes and flowers seemed to be recurring elements. 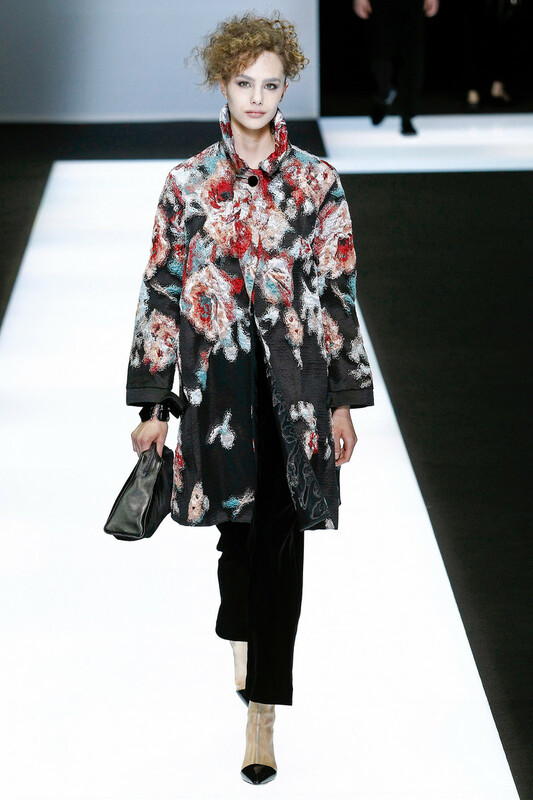 Floral prints kept popping up throughout the show in small and bigger versions, on dresses, bags, shoes and coats. 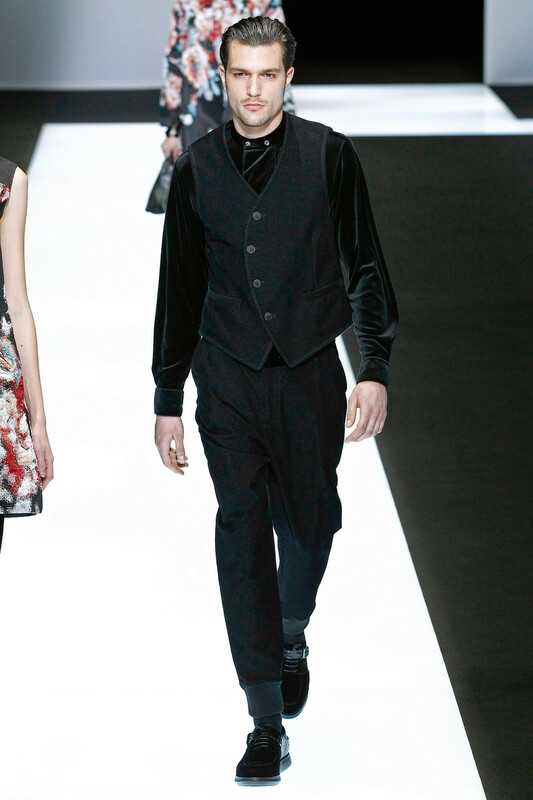 Still the collection felt sober. 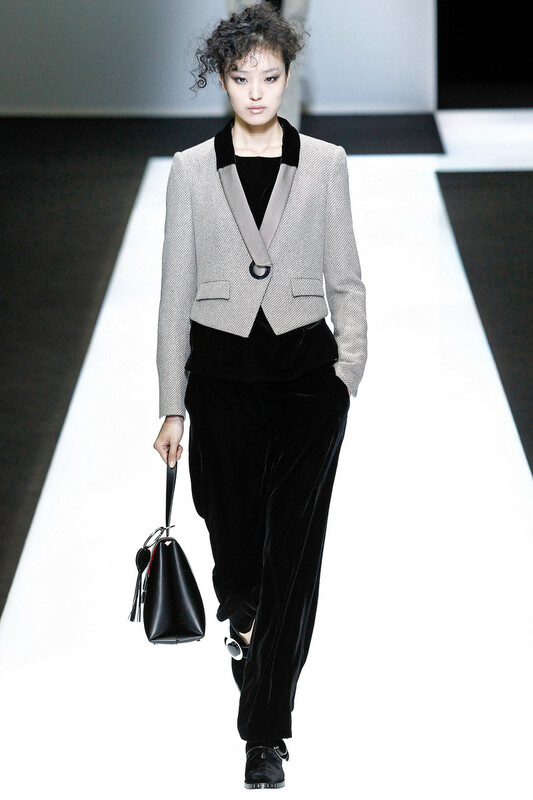 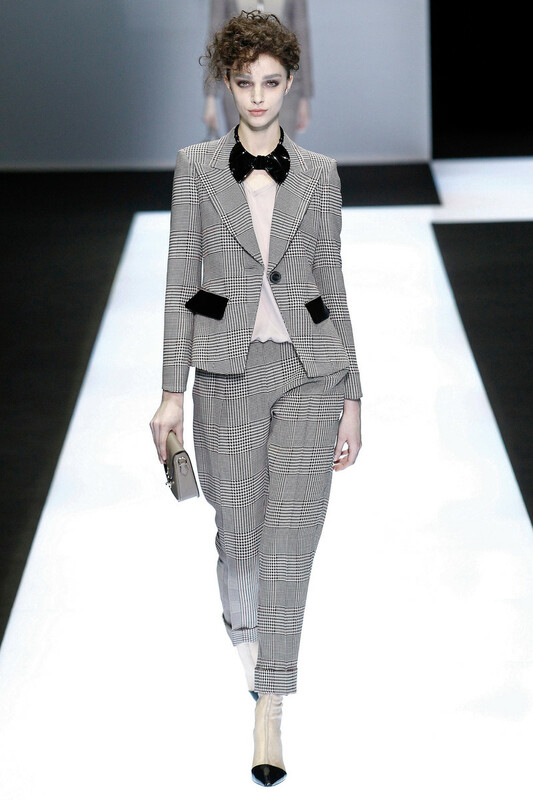 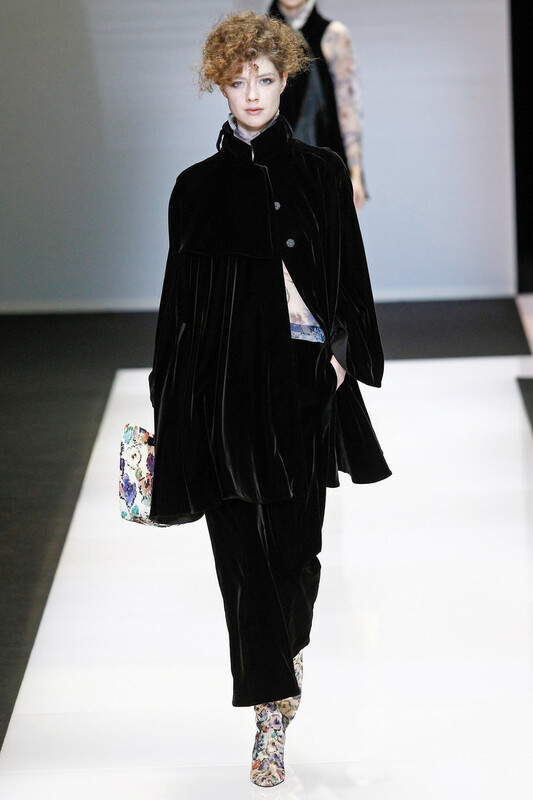 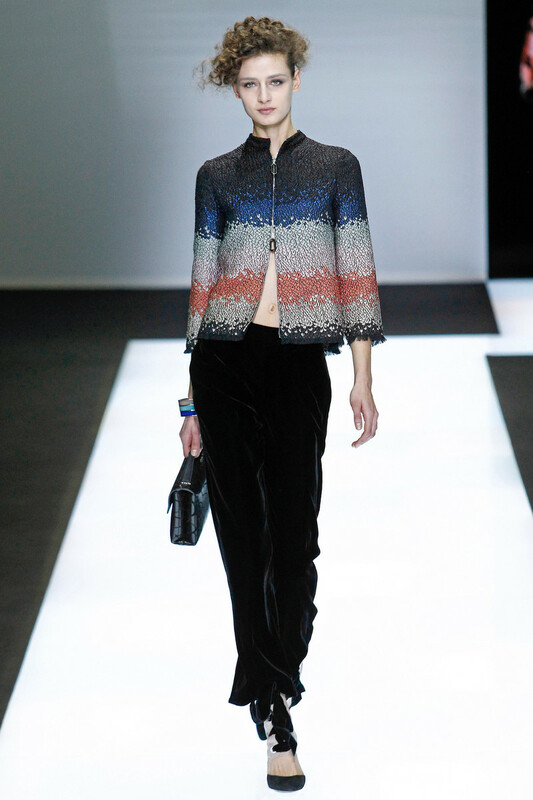 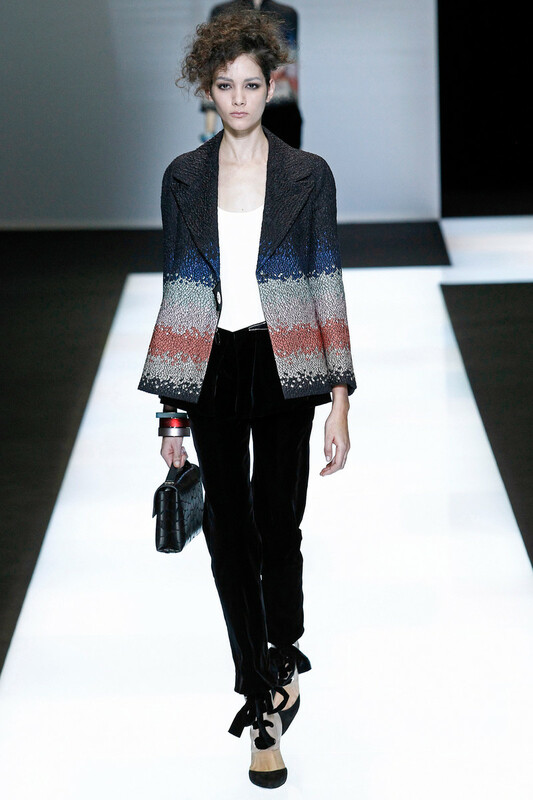 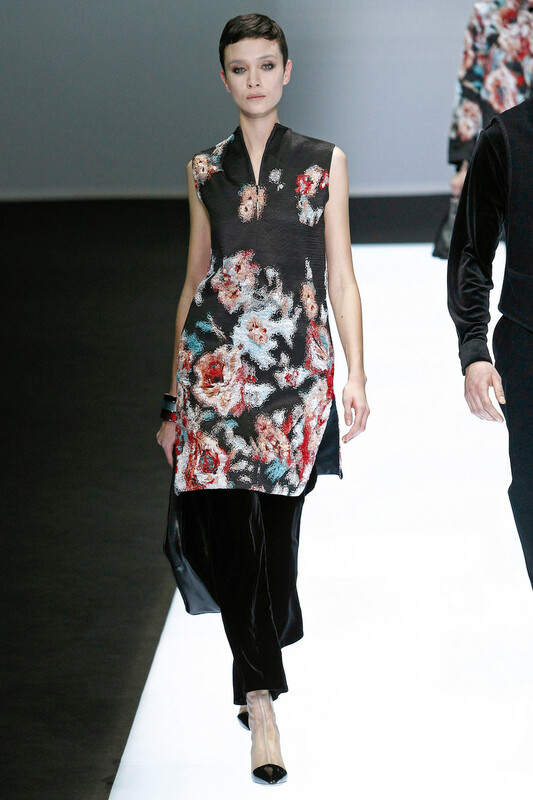 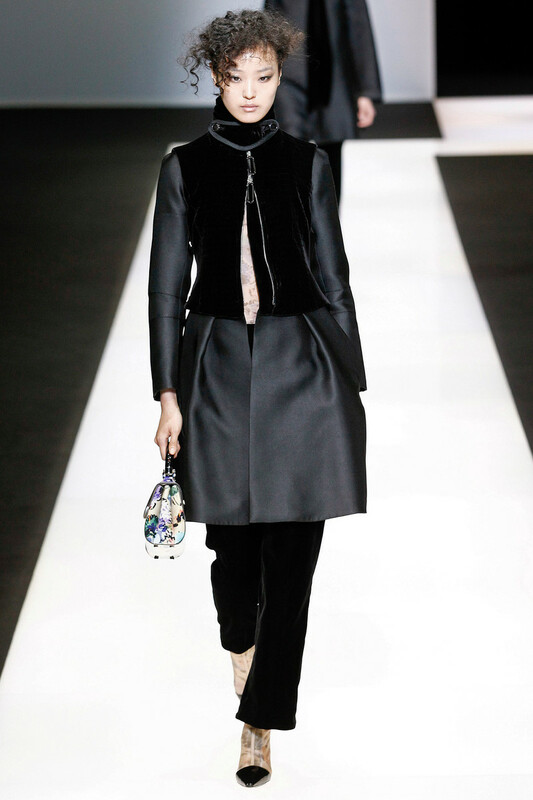 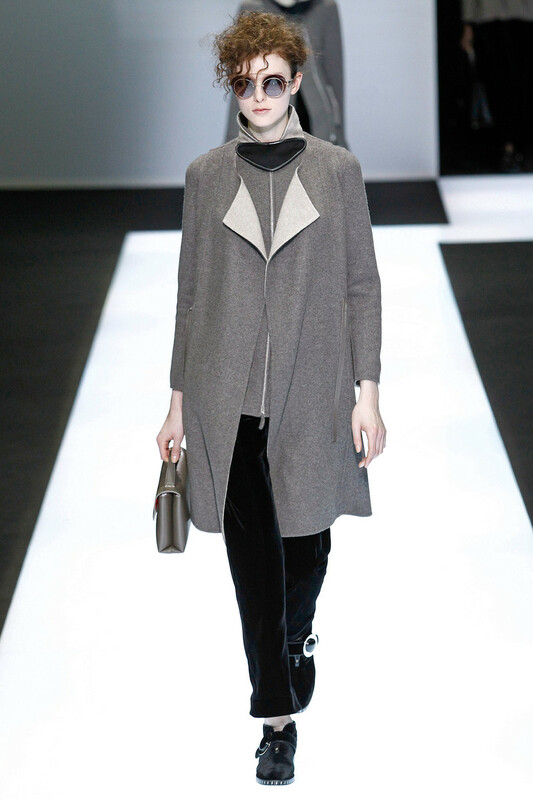 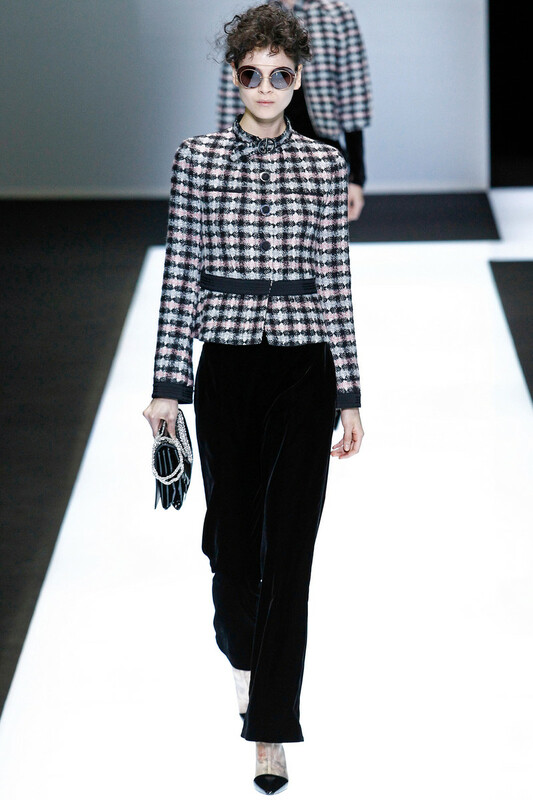 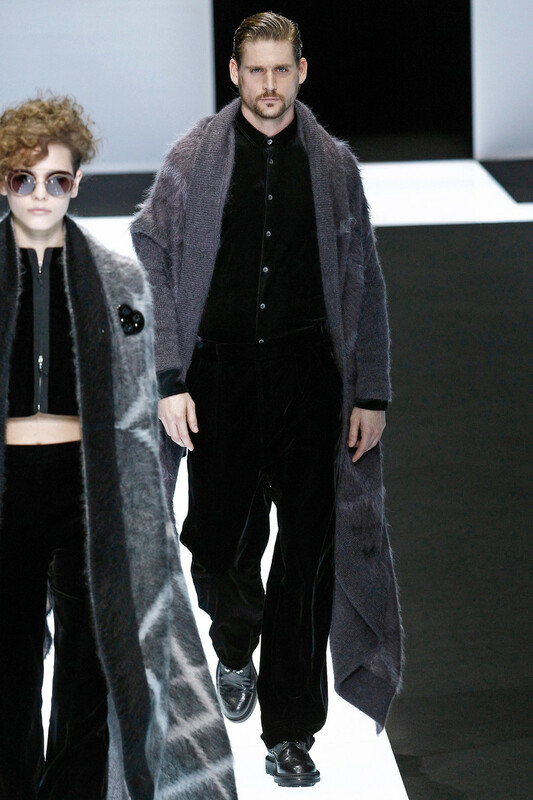 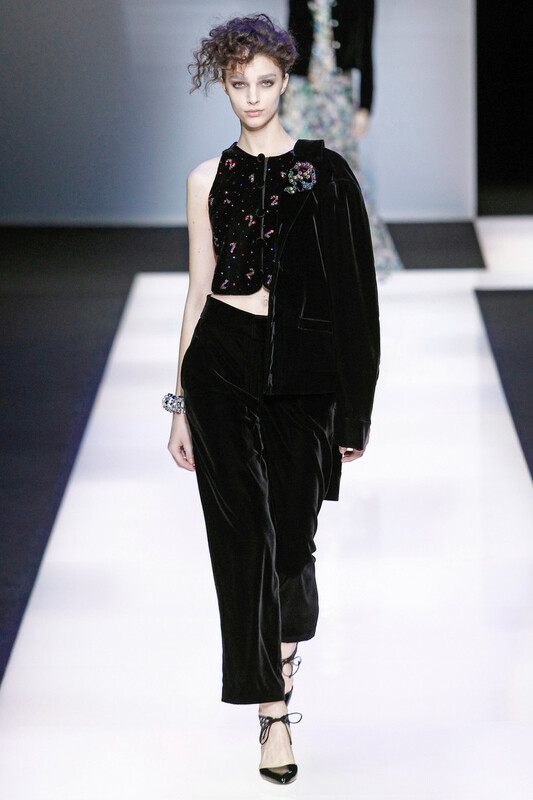 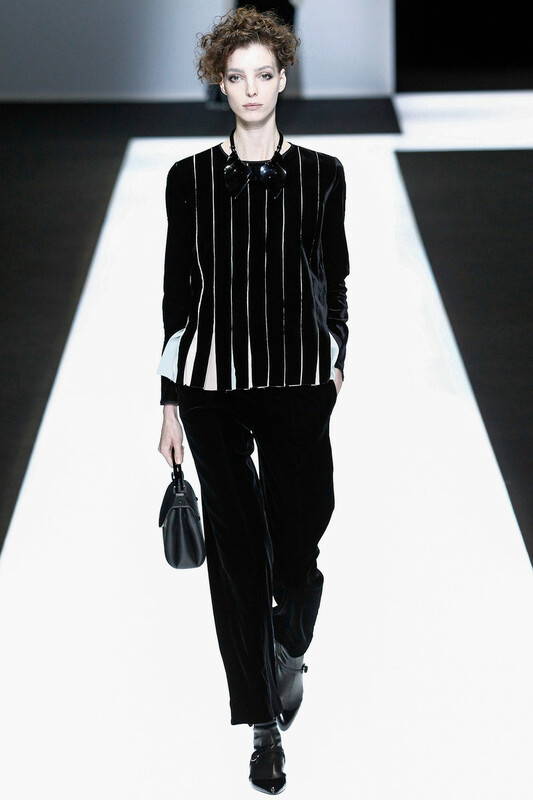 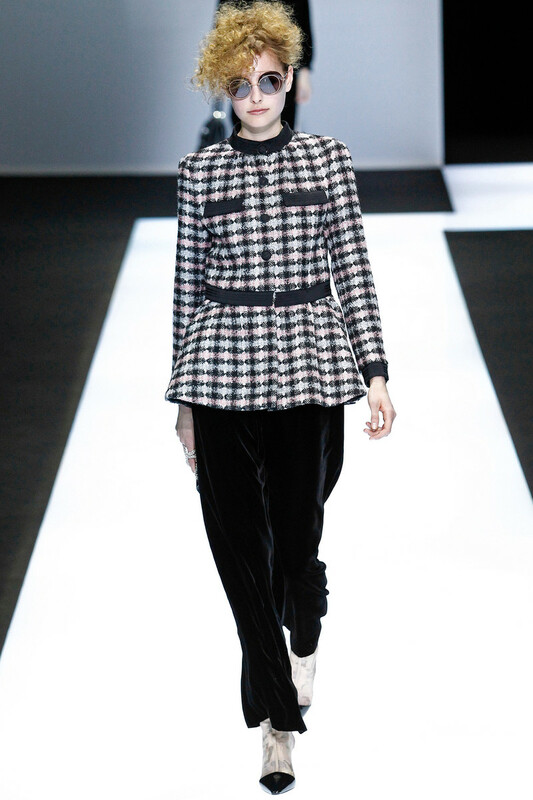 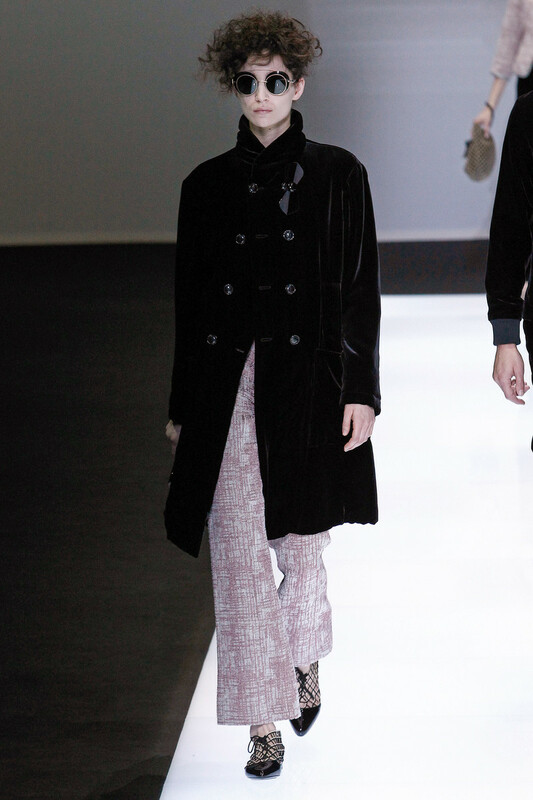 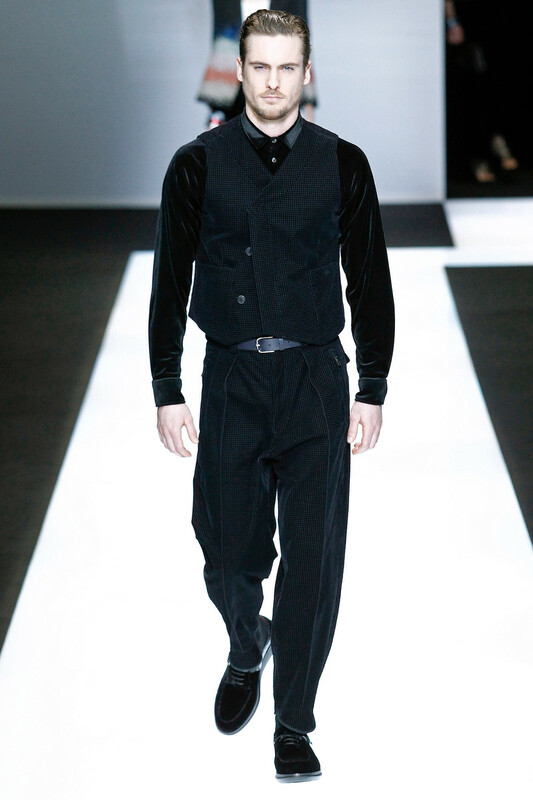 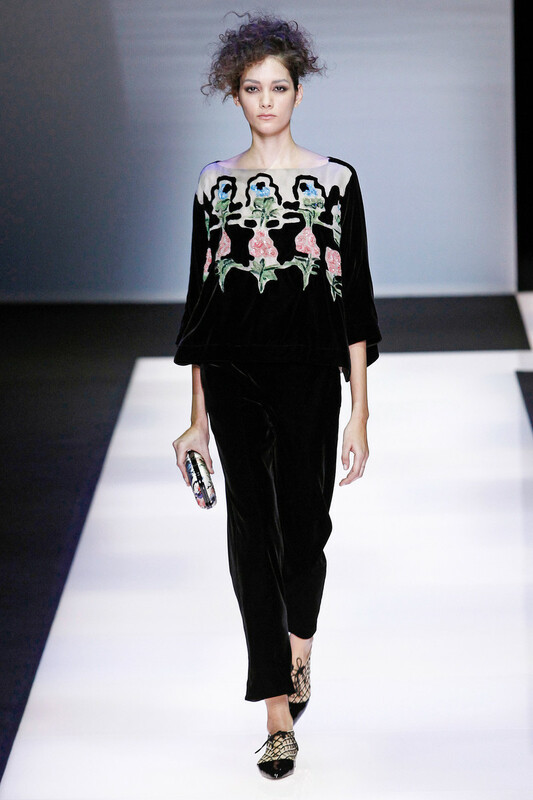 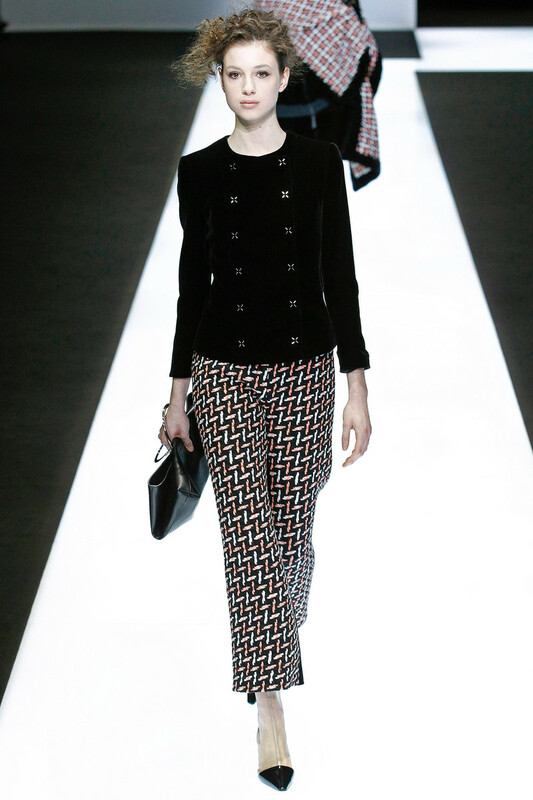 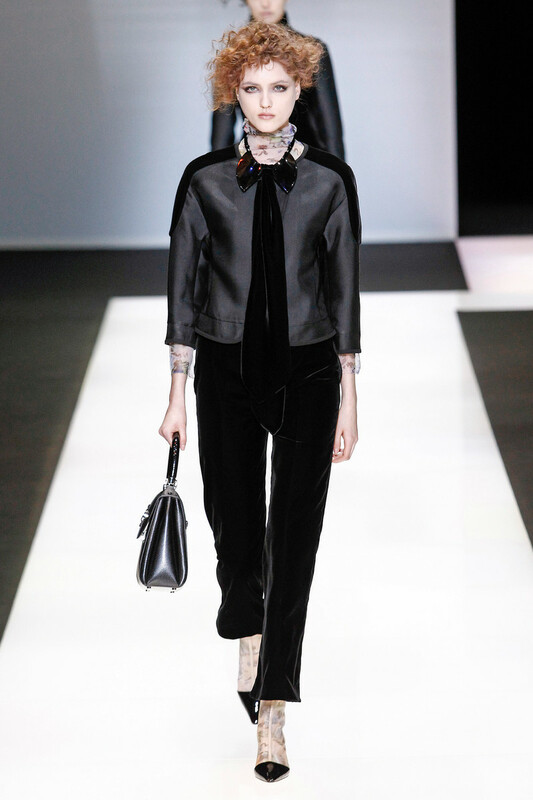 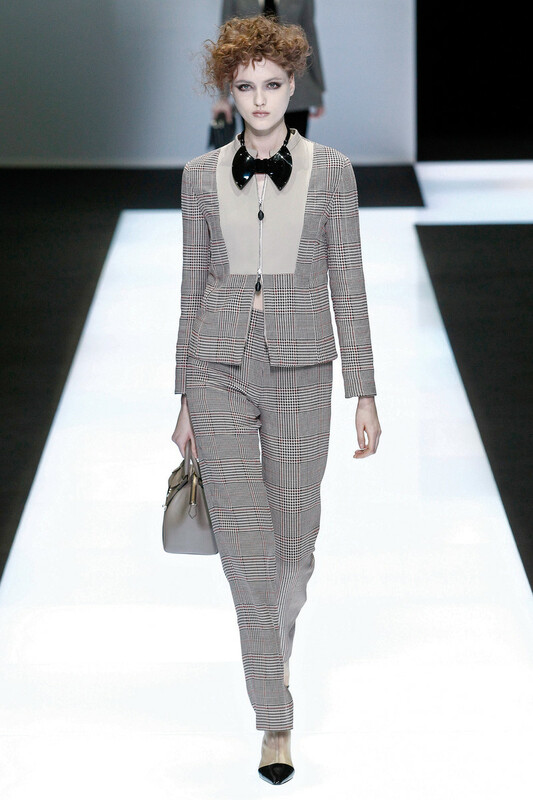 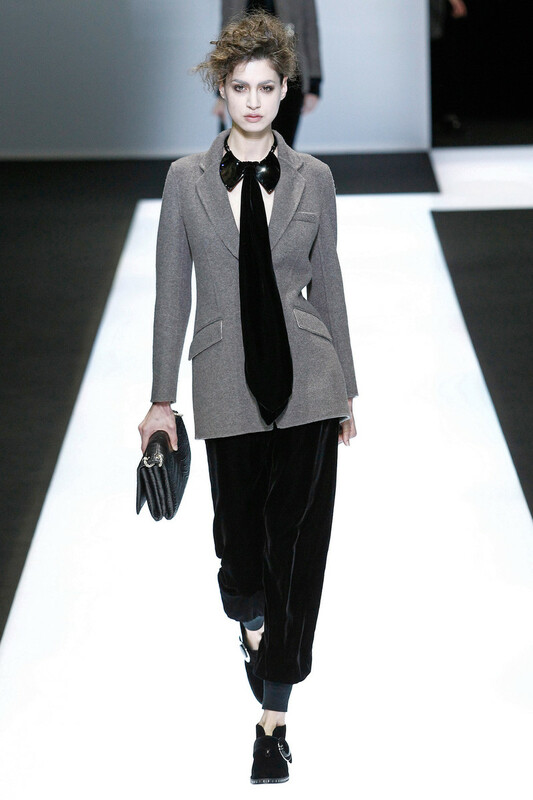 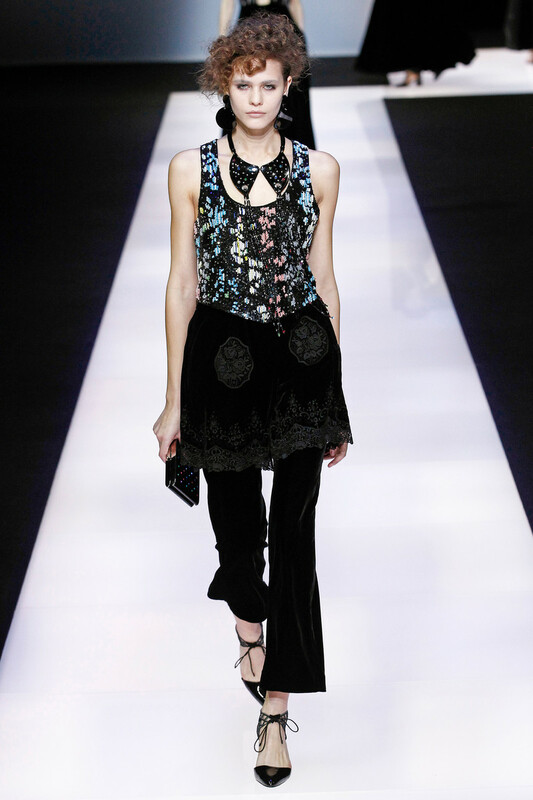 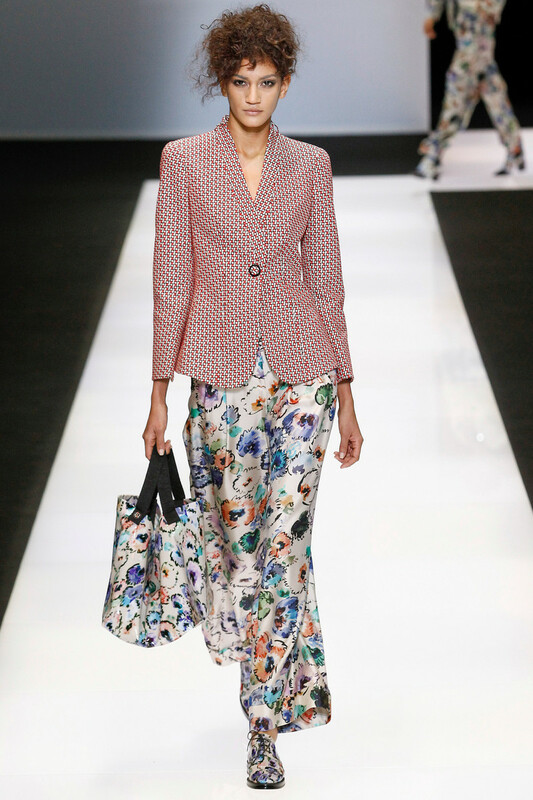 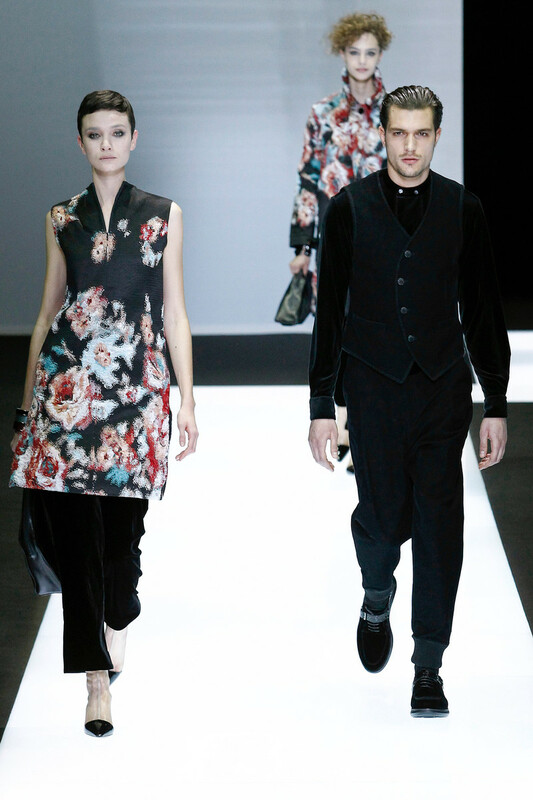 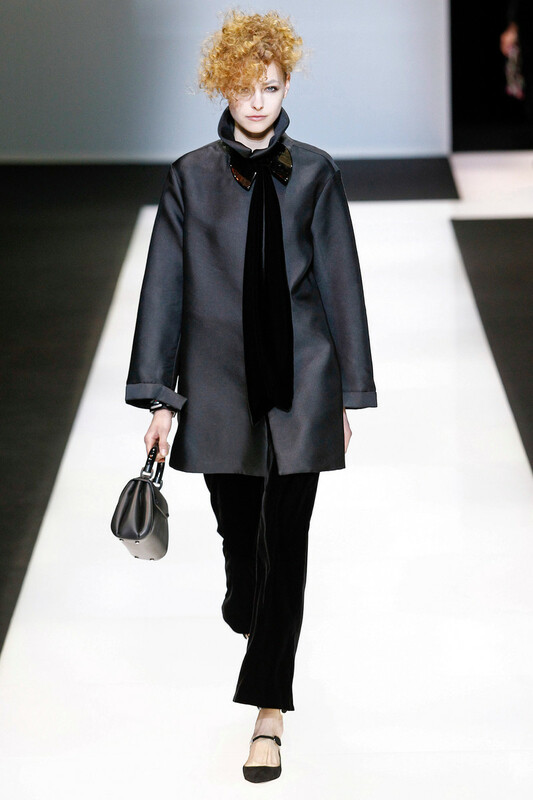 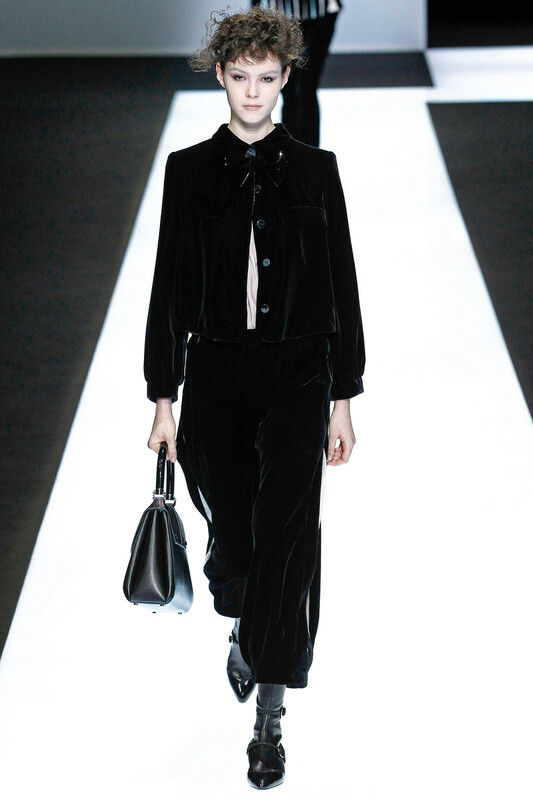 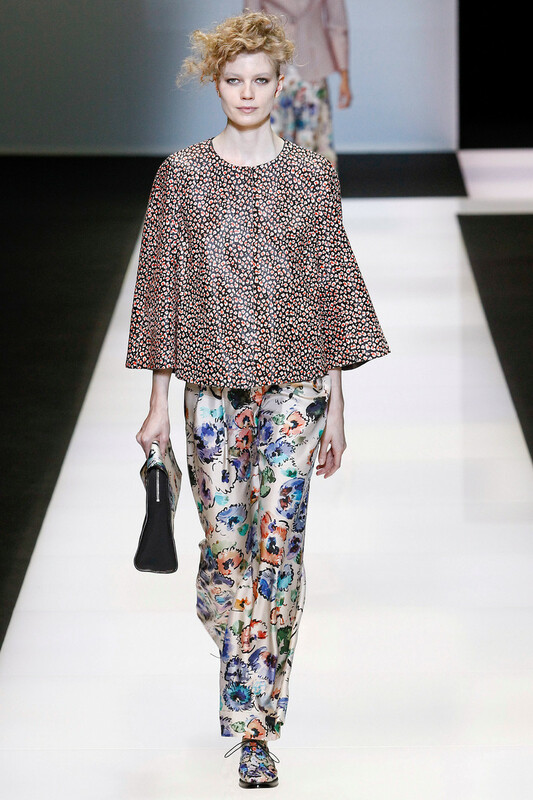 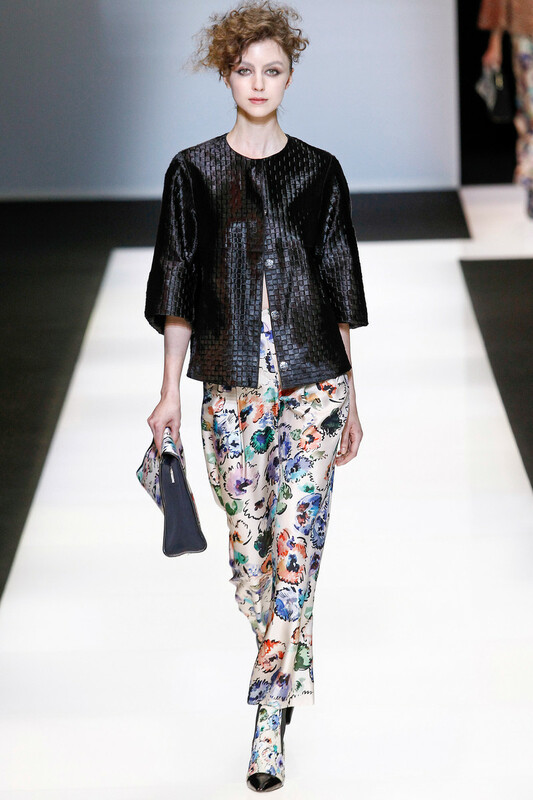 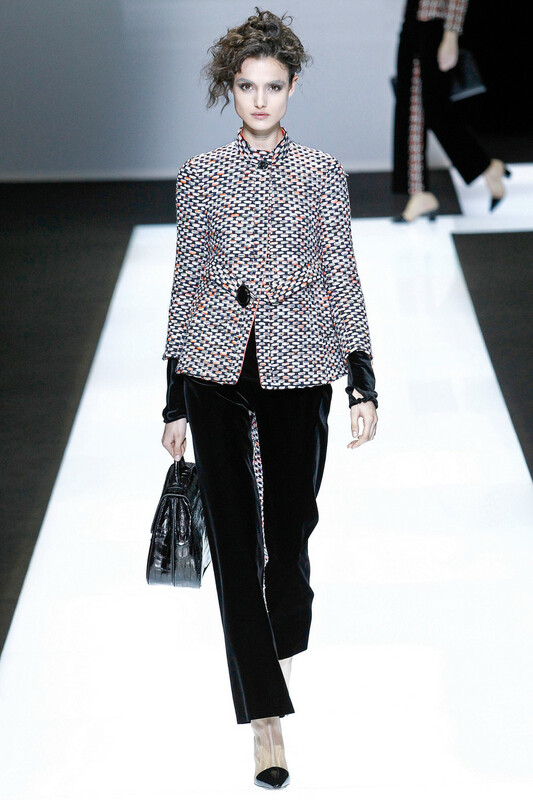 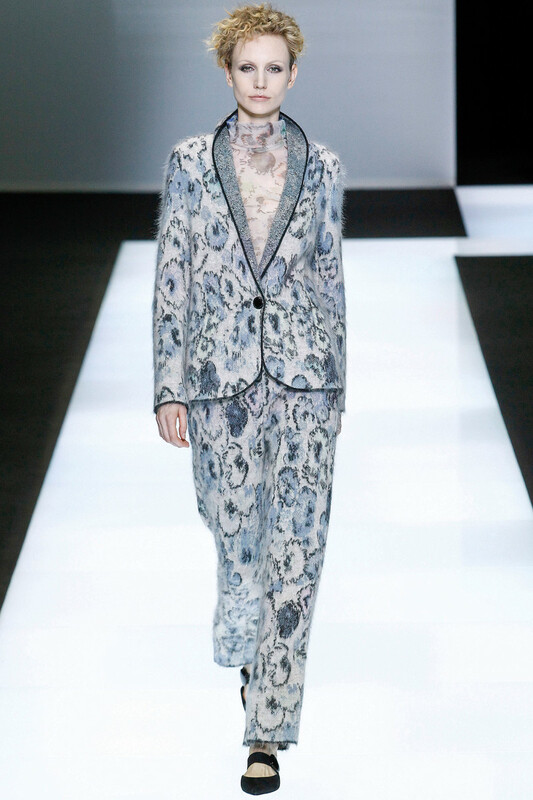 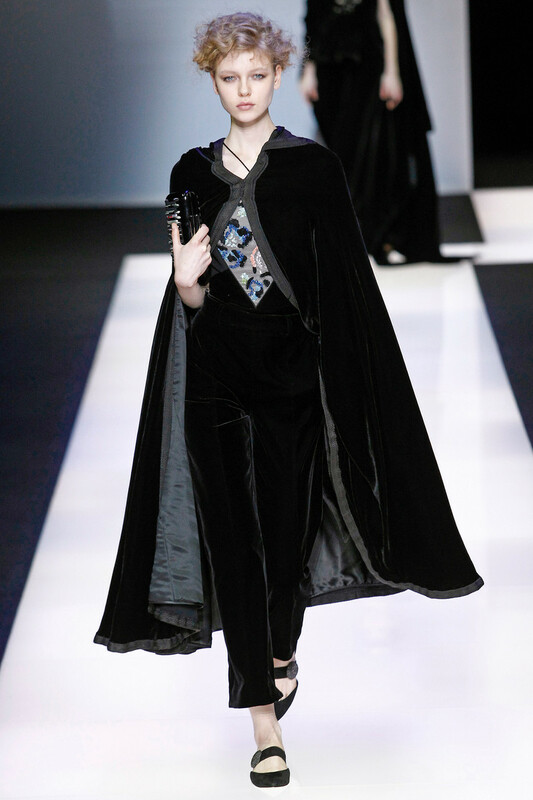 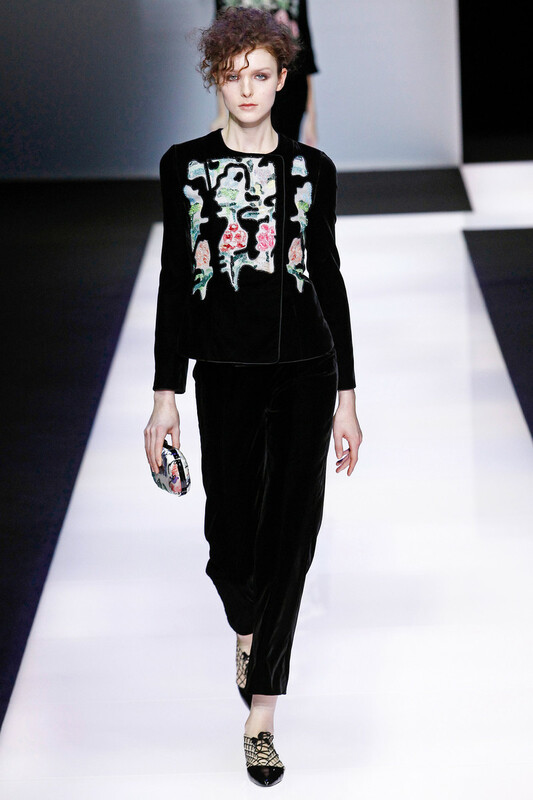 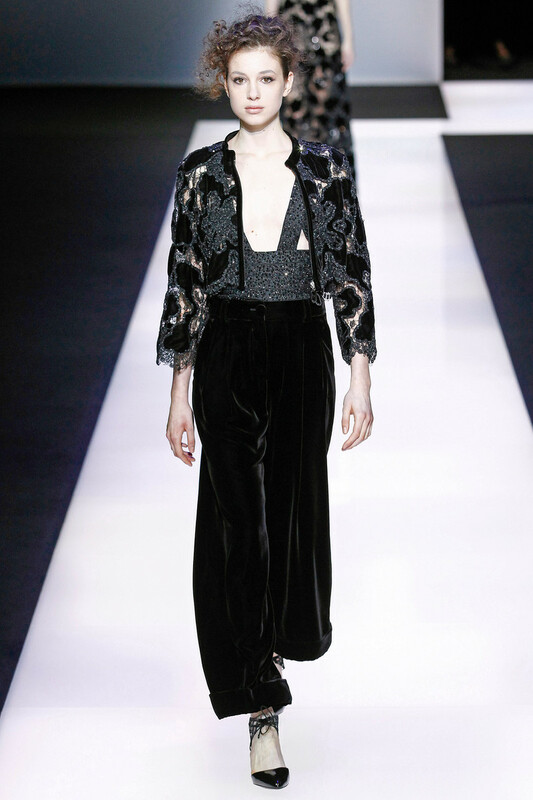 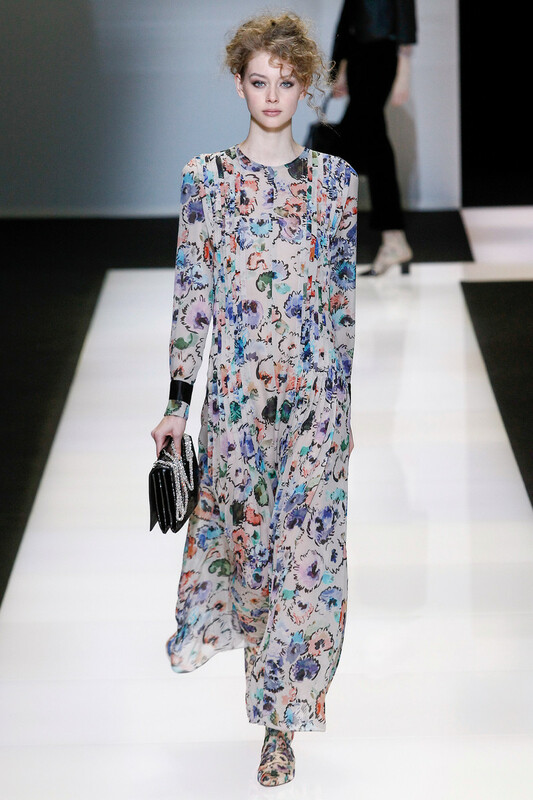 Floral printed maxi dresses and embroidered velvet suits breathed Armani’s classic elegance as they passed by. 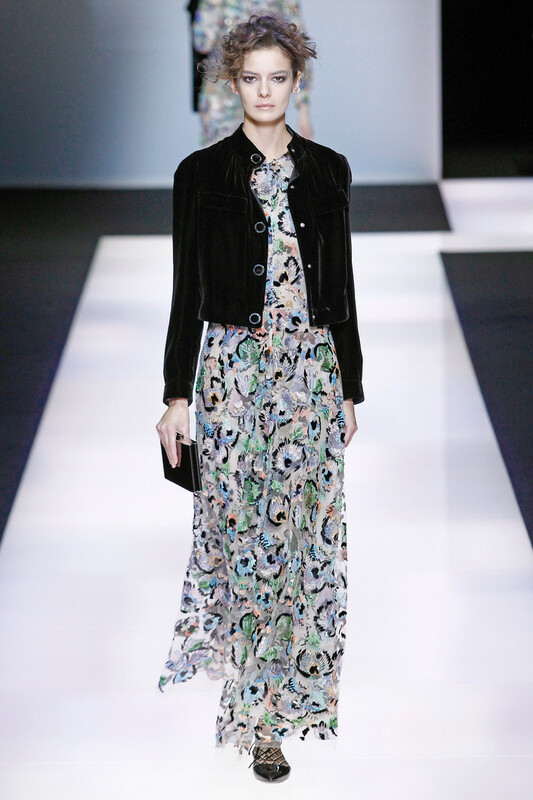 Hair (a springy nest of messy curls atop a double French twist ) and make-up (classic makeup with a nod to the Seventies) appeared flawless. 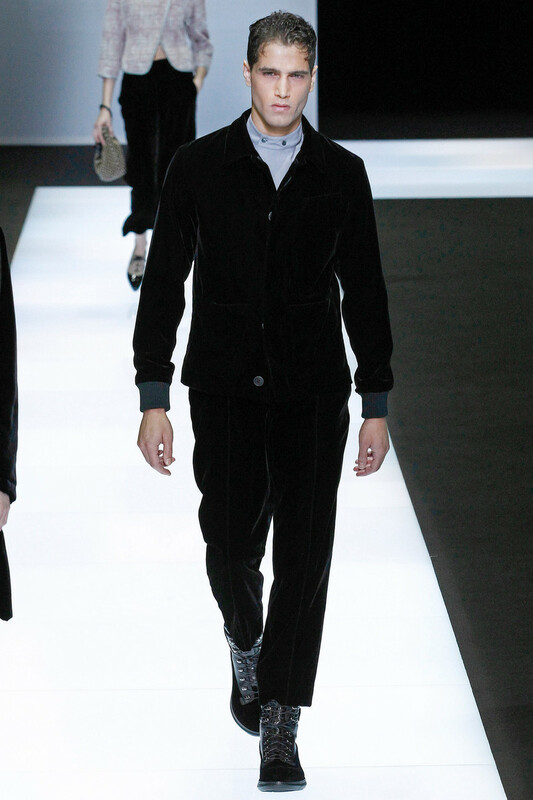 And that finale filled with evening numbers could one by one have had earned a spot on the red carpet at last night’s ceremony.